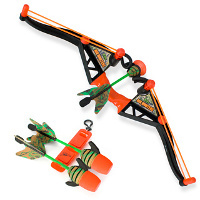 Robin Hood wannabes, here is something for you to check out – the Air Hunterz Z-Curve Bow that costs all of just £19.99. The trusty bow has been Robin’s weapon of choice for a long time now, as well as his band of merry men, and you can now continue in his legacy without having to wear lincoln green all the time. The high performance Air Hunterz Z-Curve Bow will rely on the time-honored (albeit pimped-up technology) tradition to shoot its arrows for more than 100 feet. Of course, these won’t be able to pierce human skin since they’re made out of some rather squishy material, with a quartet of strategically positioned tubular bands providing the necessary firepower with a pistol-style grip helping you steady the bow before you shot. All you need to do is place your arrow, draw back, aim and release. Each purchase comes with a couple of long-range arrows and one special Zartz suction cup arrow to have the latter stick where it matters. SensEpil™ by Silk’n – because shaving is no fun.